Gold and jewellery industry executives in the UAE hope that the government will extend VAT exemption to the retail segment, similar to what was given to wholesalers and investors for the benefit of end-users. "We welcome the move of VAT [value-added tax] exemption by the UAE Cabinet on the gold and diamond trade in the B2B MARKET. 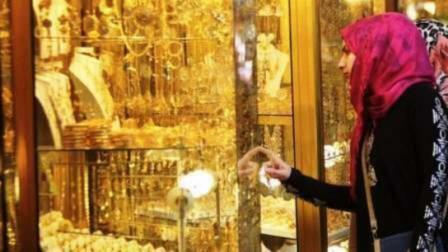 One of the major tourist attractions of the UAE is the jewellery sector that generates billions of dollars in revenue every year and by exempting it from the tax, the benefit will be immense for the businesses and the overall economy," said Firoz Merchant, chairman of Pure Gold Group. "I hope that the government extends a similar exemption to the retail sector, which will not only benefit the jewellery retailers but also tourists and consumers," he added. "We are not expecting total VAT exemption on purchases as we have requested to charge only on making charges as raw gold [pure gold] is VAT-free and jewellery is made from raw gold," said Anil Dhanak, managing director of Kanz Jewellery. "Retail will greatly benefit once we go back to the old pricing structure and VAT is levied only on making charge - which comes to around Dh1 per gramme; it will be easy to absorb by retailers and even customers will not feel the pain." He added that VAT refund at airports for tourists will also be a win-win situation for the seller, buyer and the nation's economy. Chandu Siroya, owner of Siroya Jewellers, also hoped that the government will reconsider and levy 5 per cent VAT only on value-addition rather than the whole piece. "Dubai's gold business will come back to glory by the removal of VAT on whole piece and levying it only on making charges." "Five per cent VAT is very expensive. In India, it is 3 per cent. Even profit margins of jewellery retailers are around 1-2 per cent and 5 per cent VAT is very high," Siroya added. Joy Alukkas, chairman and managing director of Joyalukkas Group, too is hoping for a revision in the retail segment as VAT on wholesale has been rolled back so that end-consumers will benefit and this will surely have a positive impact on sales. "The Dubai Gold & Jewellery Group is lobbying in the best interest of the industry and for the jewellery shoppers; the industry as a whole is also in discussion with relevant authorities. In the end, the final decision will surely be in the best interest of the country's economy."